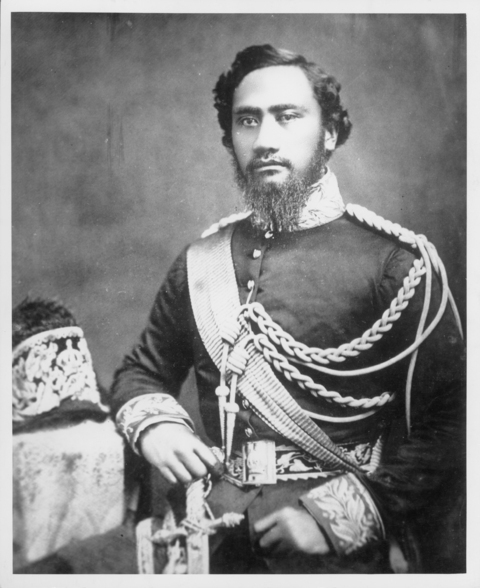 On Thursday April 28, 2011, KHON2 (a news station in Hawai’i) ran a video story about the 1856 royal wedding between King Kamehameha IV and Queen Emma of Hawai’i. There is also an accompanying article, which I found incredibly interesting, so I thought I would share this information with you all. 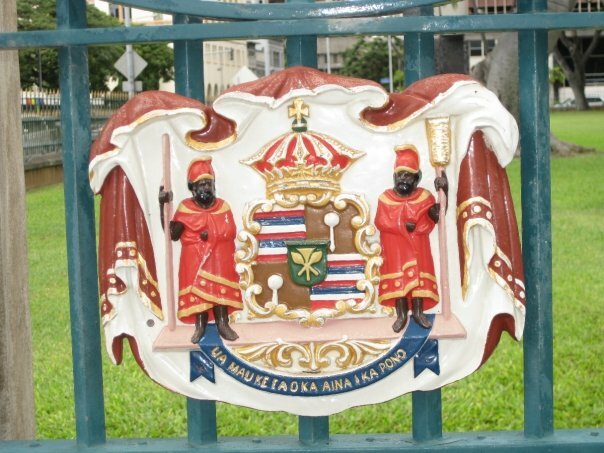 … 155-years ago Hawaii had its own royal wedding. ‘The really biggest royal wedding that there was, was the wedding King Kamehameha IV and Emma which took place in June of 1856,’ said Bishop Museum archivist Desoto Brown. The couple exchanged vows at Kawaiahao Church. A procession followed with men carrying Kahili – to signify this was a wedding of royalty. Similar to how the nobility of Europe use coats of arms. ‘And people would have been watching from a respectful distance to take part in this event they were very proud of and happy about,’ said Brown. The only depiction of the royal wedding in Bishop Museums’ collection is this sketch. Brown says the celebration was seen as a positive an uplifting celebration for the people of Hawaii. To mark the occasion – Queen Victoria of Great Britain sent Emma a veil, which she wore on her wedding day. And the bride most likely was dressed in a white wedding dress. ‘We don’t know the specifics but there would not have been a lot of competition as to what dress maker she was going to go to or anything like that,’ said Brown. But it wasn’t only Queen Emma who had close ties to the British monarchy. In 1887 Queen Victoriacelebrated her Golden Jubilee and invited Hawaii’s reigning Queen Kapiolani and Princess Liliuokalani. To watch the video clip and to read the article in its entirety please click the link here. Photos: With permission from the Hawaii State Archives and my own. Previous Episode 4 of “A Royal Family: The Father-in-Law of Europe”. And, Kongehuset Indefra.